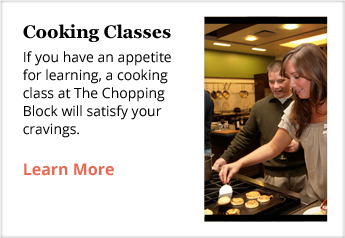 Please note that the Merchandise Mart building maintains different hours than The Chopping Block. Therefore, it will sometimes be necessary for our guests to enter the building at a different location other than the Kinzie/Wells entrance which is closest to our store. The Mart's Kinzie and Wells entrance is open until 7:30pm Monday through Friday. On Saturdays, the Kinzie and Wells entrance is open until 6:30pm. After 6:30pm, guests can access the building via the CTA or River Entrance. 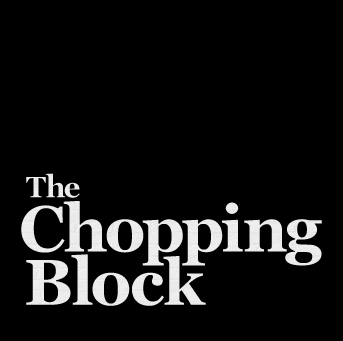 On Sundays, The Chopping Block is one of just a few businesses open in the building. To maintain security, guests can access the building via the CTA or River Entrance. The Kinzie and Wells entrance will NOT be open on Sundays. 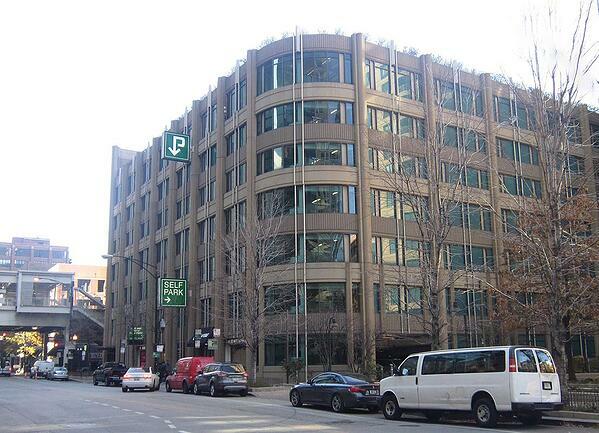 We are happy to offer discounted parking near our Merchandise Mart location in downtown Chicago at the Mart Parc Wells Self Park garage (401 N. Wells Street). The discounted rate is $16 for any period of time up to 12 hours, or $11 any time after 3pm when you are out by midnight. 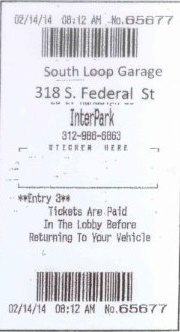 Book and pay for your parking before you even come downtown! 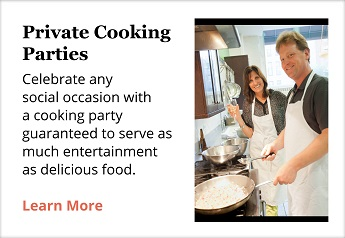 Click here to reserve and pay online. You will be asked to register for an account, or you can choose to check out as a guest. A bar code will be emailed to you. You may print it or scan it directly from your cell phone upon entry to the garage. 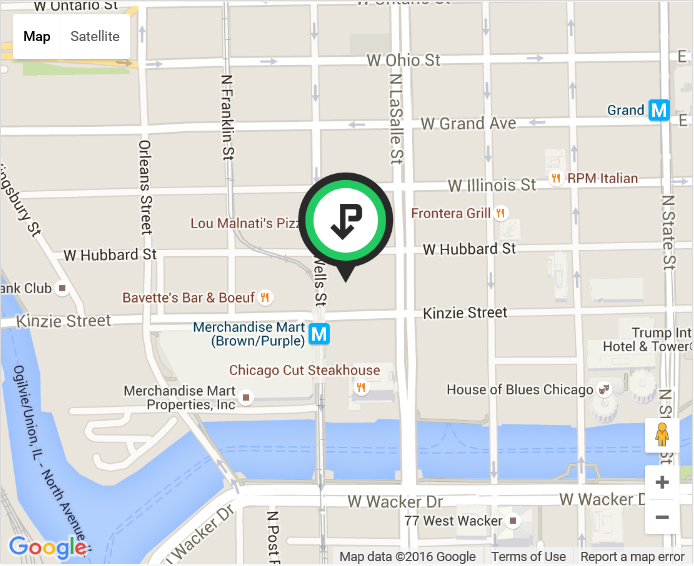 We can also validate your parking in person at our Merchandise Mart location. 1. Enter garage and press button for a ticket. 2. 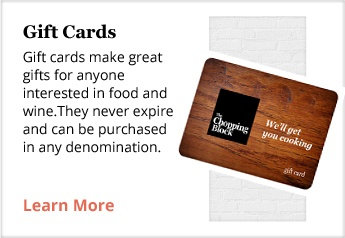 Visit our store and ask a staff member for a parking validation sticker. 3. Place the sticker in the center of the ticket where it says STICKER HERE. 4. Insert your ticket with rebate sticker at the pay station at the ground floor lobby. 6. Retrieve paid ticket from pay station and insert at exit gate. If you are experiencing problems at the pay box such as incorrect discounted parking rate or time frame issues please press the Assistance Button prior to paying. You may also call the garage at (312) 347-3515.